The first day of competition at the Commonwealth Games has drawn to a close and three of our alumni are ready for action on the Gold Coast. England women’s hockey team have already made the perfect start to their Commonwealth Games campaign, with a 2-0 victory over South Africa at the Gold Coast Hockey Centre on the first day of competition. 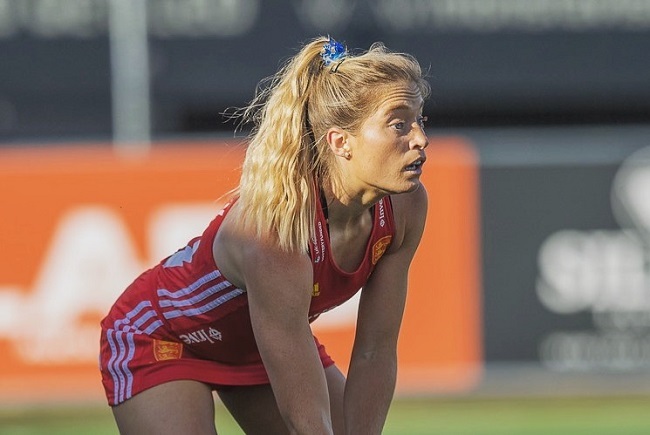 Suzy Petty (GSAL 2010) returns to the England squad having competed in her first major senior tournament for England Hockey in the World League Finals in New Zealand last November. England had a good run to the semi-finals in that tournament, eventually losing out in the bronze medal play off. She currently plays for Wimbledon and is a full-time hockey athlete, receiving her first senior cap in November 2013. Fresh from winning his first major title, Leeds-based Yona Knight-Wisdom will be representing Jamaica at the Gold Coast 2018 games. The diving competition gets started on Wednesday 11 April with the men’s 1m springboard event. Yona will also be in action on Thursday 12 April in the men’s 3m springboard competition. Leeds-born and bred, Robin Middleton (OL03) now calls Australia home, having been invited to join Australia’s national badminton squad during a visit to the country in 2011 to follow the rugby world cup. With his mixed doubles partner Leanne Choo, Rob won back to back golds at the 2015 and 2016 Oceania championships, and the pair went on to compete at the Rio Olympics. At the Commonwealth Games Robin will be playing mens doubles with Ross Smith and their competition gets underway on Friday 6 April.